May the force be with her. Members of Carrie Fisher&apos;s Star Wars family are mourning the loss of the legendary actress. As previously reported, Fisher died at the age of 60 on Tuesday, December 27, four days after suffering a massive heart attack. Shortly after the news broke, Mark Hamill also tweeted that he had "no words" and that he was "devastated." Hamill, 65, and the When Harry Met Sally star played brother and sister Luke Skywalker and Princess Leia. 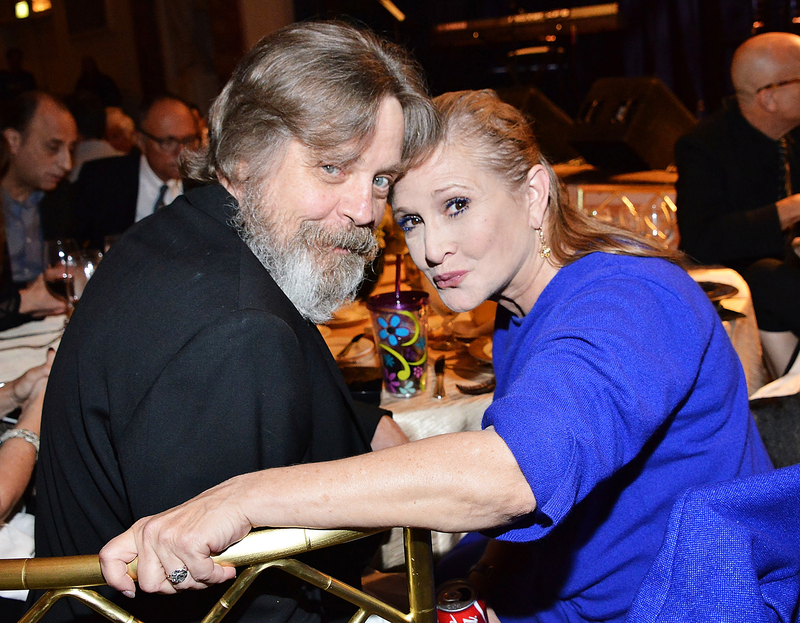 Last week, Hamill also tweeted about his longtime friend while she was still in the ICU in stable condition. "As if 2016 couldn&apos;t get any worse… sending all our love to @carrieffisher," he wrote on December 23. Lucas, 72, also released a statement. 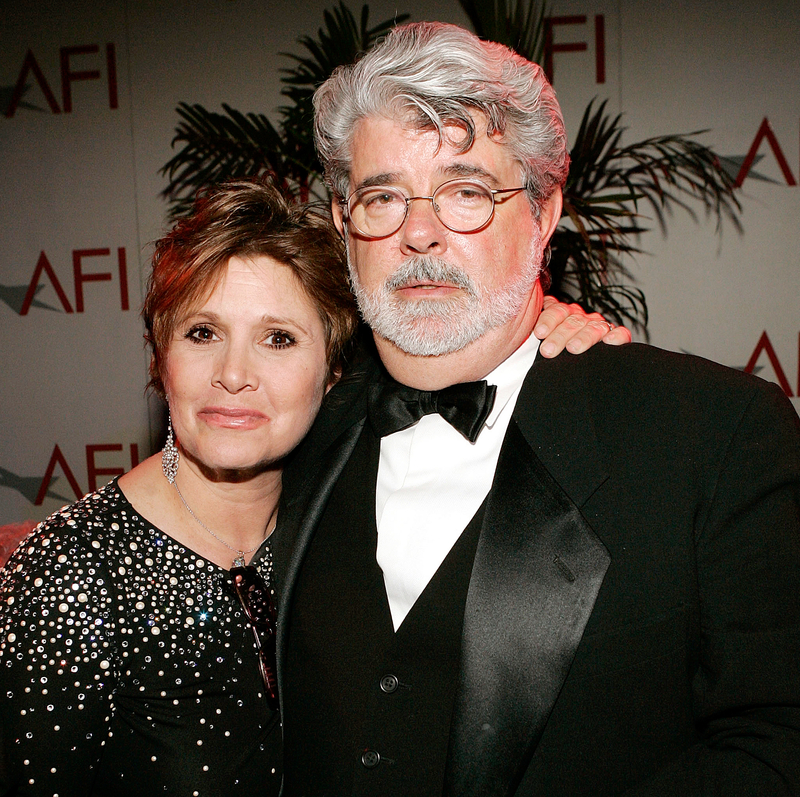 "Carrie and I have been friends most of our adult lives. She was extremely smart; a talented actress, writer and comedienne with a very colorful personality that everyone loved," he told Us on Tuesday. "In Star Wars she was our great and powerful princess—feisty, wise and full of hope in a role that was more difficult than most people might think. My heart and prayers are with Billie, Debbie and all Carrie&apos;s family, friends and fans." Peter Mayhew, who plays Chewbacca, also mourned Fisher on Twitter, saying she would be missed. Billy Dee Williams, who played Lando Calrissian in the franchise, also reacted to Fisher&apos;s death. "I&apos;m deeply saddened at the news of Carrie&apos;s passing. She was a dear friend, whom I greatly respected and admired. The force is dark today!" he tweeted on Tuesday. Williams, 79, appeared in Star Wars: Episode V — The Empire Strikes Back and Star Wars: Episode VI — Return of the Jedi. Anthony Daniels, who has played C-3PO since 1977&apos;s Star Wars: Episode IV — A New Hope, was just as emotional. "I thought I had got what I wanted under the tree. I didn&apos;t," he tweeted on Tuesday. "In spite of so many thoughts and prayers from so many. I am very, very sad." Fisher&apos;s The Force Awakens costars Daisy Ridley, Lupito Nyong’o, Andy Serkis, Gwendoline Christie and Greg Grunberg also paid tribute. "Devastated at this monumental loss," Ridley told Us in a statement Tuesday. "How lucky we all are to have known her, and how awful that we have to say goodbye." Oscar-winner Nyong&apos;o, 33, shared a photo of the women on Instagram. Grunberg, 50, added via Twitter, "I&apos;m heartbroken! Such a special person gone way too soon. I will forever miss #CarrieFisher. RIP." 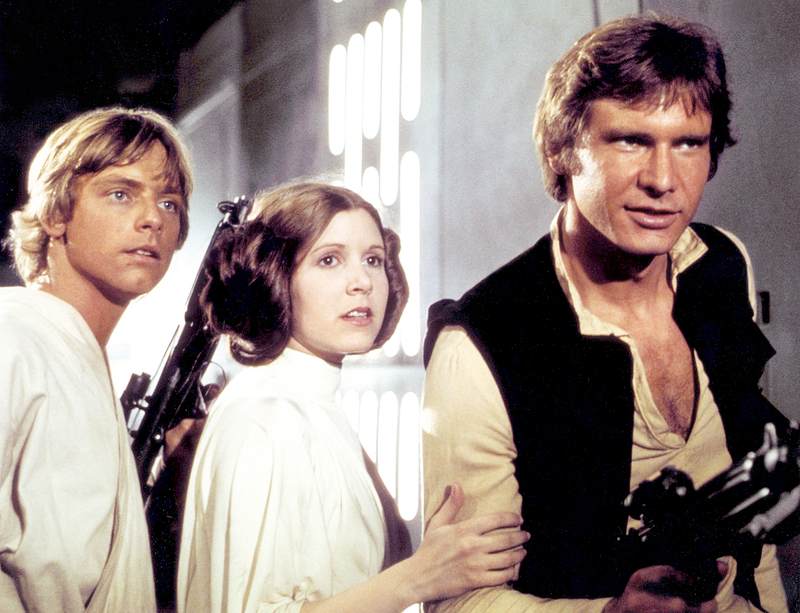 Star Wars: The Force Awakens’ producer J.J. Abrams also penned a touching tribute to Fisher.